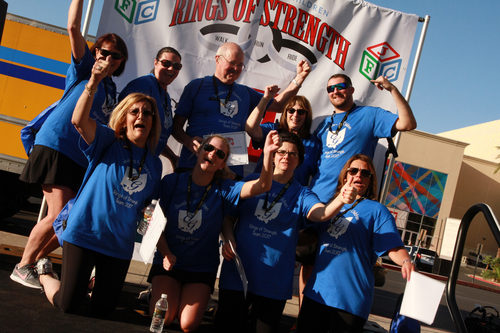 The annual Jewelers for Children Rings of Strength will be held on Thursday, May 31, at Mandalay Bay Resort Casino in Las Vegas, NV. The very popular event includes options for a 5K walk or run, a challenging bike ride in the scenic foothills of Red Rock Valley, or a less strenuous, street level bike ride. Sponsors are lining up for this yearâ€™s event and participants can now register to participate. The event, now in its sixth year, has generated nearly $ 300,000 to help children in need. Once again, JCK Events is the major event sponsor; Ashi Diamonds, Freeman, and CMAC have also signed on. The event will kick-off at 5:30 a.m. to avoid the heat of the day. Rest stops along the route will ensure that everyone stays hydrated and energized to help raise funds for children in need.